Check out my youtube video when I went to visit Bill of Kappacasein, amazing urban cheese maker . The more I look at the idea of bento the more I see it is a way of thinking. Modern day bento has become a celebration to food. The creation of a dish or selection of tasty foods stored to keep their optimum flavour. Items are arranged in a pleasing visual manner that adds to the consumer’s experience. You may have noticed in the last few years bento (or bento boxes) appearing in British supermarket food isles and lunch cafés and shops. A bento box is a shallow square, rectangular or oval container with a tight fitting lid which is used to transport what the British would know as a packed lunch. I wrongly assumed bento was a modern marketing phenomenon, how wrong I was. Searching archives I found packaged food was mentioned in Japan as a form of portioned food, wrapped or packaged for soldiers, farm workers, labourers & pilgrims, more than 800 years ago. The wrapped food may have became bento taking its name from makunouchi bento (rice balls with multiple assorted side dishes) that begun to be eaten in the interval at the theatre. Most interestingly for me is ekiben, the station bento. With the advent of the railway in Japan (late 1800s) train stations & halts in tourist areas began to sell unique local bento. To this day it is, always fresh and seasonal, showcasing the regional speciality of perhaps smoked fish, pickled veg or preserved fruit. In the UK we get to see the gaudy bento or the clumsily prepared pastiche. Badly cooked rice with tasteless slab of fish or meat in our supermarkets. 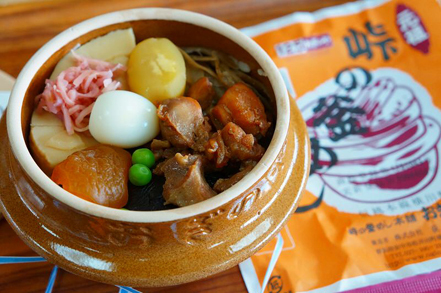 In Japan and japanese communities around the world it is a packed lunch with a difference. Millions of parents prepare bento for their children each day. A visual feast for the children reaches out to little ones to have them experiment with new foods. Dishes please the eye and ground the young in good eating habits. Mothers, wives & partners rise early to prepare fresh cooked rice or noodles and savouries accompaniment. 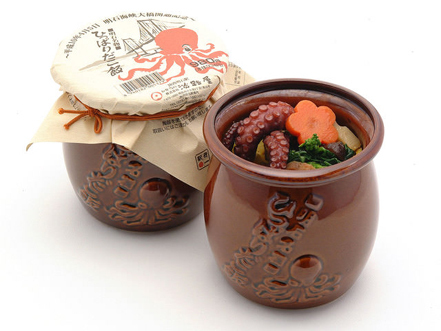 Perhaps grilled meat or fish, with a sauce held separately until meal time. Often followed by a small dessert or fresh fruit. Bento as a concept is brilliant. Parents and partners express love and devotion in the creation of a notorious meal for another. The consumer is nourished with a well balanced meal and their learning or labours are sustained through the day. Very little wasted packaging and homemade food in my experience is usually exceptionally tasty and frugally priced. 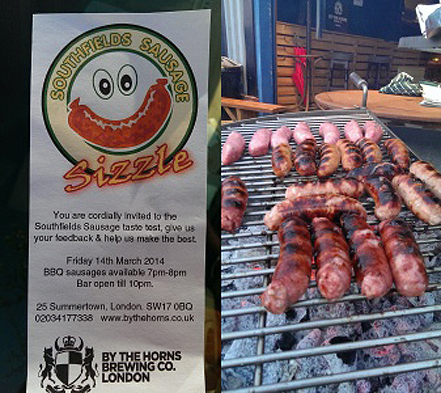 What a great taste test we had with the fine people at By The Horns Brew Co. in Tooting. Chris & Alex threw open their doors to us as GBFC in conjunction with Terry at The Village Butchers in Southfields (my local butcher) held a blind tasting event to gauge people’s reaction to several new sausage recipes. Terry had four great sausages including an unusual recipe that I had been working on. We had almost 40 tasters come down for the evening and try the selection and vote on their favourite. Thank you to By The Horns for being so gracious as to let us use their BBQ facilities and bar. Matching a few of their fine brews to the sausages on offer. We also were able to raise quite a few pounds for charity as we had an honesty box and tasters were not afraid to use it. Thank you one and all for a great evening of laughter great food & beer. Please click on: By The Horns Brew Co. for more info about their award winning microbrewery or for their opening times and online shop. The results were a huge surprize.